I met Emily & Kyle and their pup Gatsby at Fort Monroe in the fall for their engagement session! There was lots of laughter during our time together! We love when couples bring their dogs for their engagement session, they are part of the family after all! 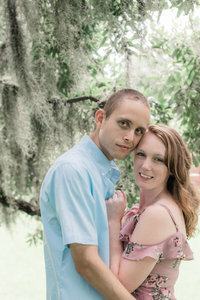 We are excited to see them for their wedding at the John Marshall Ballrooms on Friday! !